From Reboreda Morgadío Group and through our wines, and we want to condense the excellence, patent natural, in our fertile Galicia. Campante wineries with a history of over 75 years, Finca Reboreda. Puga, Toén, Ourense is a pioneer in the IO … And like the great wines, he has always remained true to its essence: to offer the best of Ribeiro. Since accumulated through our experience quasi-centennial history, we strive not to seek the perfect wine, but in trying to achieve our own excellence. 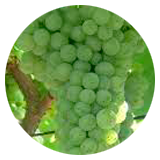 The bunch can have a medium or big size and has the grapes compacted. The grapes have the same dimensions in the whole bunch: they are of medium or small size and have a thick skin. 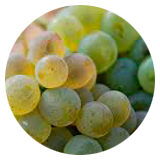 The grapes are of short elliptical size and show a colour between green and yellow. They have medium or late blooming and ripening periods. They produce balanced wines with a medium-high alcohol level and a total medium-low acidity. Its nose reminds of ripe water pear along with apple jam on a citric base with abundance of balsamic flavours and fennel. It has an oily, glyceric and meaty mouth with milk notes and slight hints of pharmacy. The bunch is big and its grapes are half-compacted. The green rounded grapes are uniform all around the bunch and are of medium and small size with a thick skin. They have early blooming and ripening periods. Godello is a variety that has less aromatic subtleness than Albariño or Treixadura but that endures the passing of time better due to its higher ageing capability. To the eye, it is usually like many other wines, presenting yellow-green shades. It has a very complex and dispersed aromatic profile, less defined than other white wine varieties with green apple notes. Besides, rustic aromas are usually notorious, full of minerality, white fruit with an herbaceous touch and a pretty slight floral fragrance. Its mouth is more powerful and intense than other Galician wines. It is glyceric with intense and fresh, balanced and well-structured acidity. The bunch is big and has loose grapes, which are small and uniform all around the bunch with a thin skin. They are pale yellow and have a rounded shape. It is a very aromatic grape with a great herbaceous intensity and a noticeable smell of laurel, hence its name. Loureira is a white vine variety (Vitis vinifera). Other names are blanco redondo (rounded white), cheiro, dourada, laureira marqués, loureira blanca, loureiro and marqués. 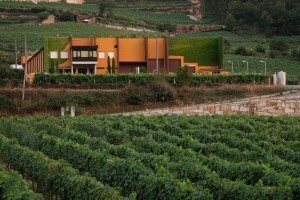 Its main distribution of cultivation is between the south of Rías Baixas appellation and Ribeiro appellation in Galicia. It is a good variety for coupages due to its marked character. This vine variety has a high output. 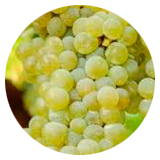 This is a high quality grape that produces highly perfumed, acid, yellow pale wines. It can be assembled with other varieties. 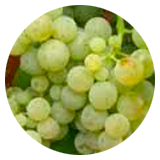 As Treixadura and Albariño do, it has a high glycerol index and its wines have an alcohol level between 10,5% and 11,5%. 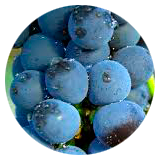 Its medium-sized or big bunch has loose grapes, which are uniform all around the it. Those are yellow, medium-sized grapes with half-thick skin and of short elliptic size. This grape is often accused of lack of typicality but, in truth, it is really affected by altitude and nutrient variability coefficients. This grape grows in the mountain and produces yellow wines with brilliant golden reflections and delicate aromas of chamomile tea, roses, and very intense citrus fruits with a slight sweet aftertaste reminding of bee honey. In the riverbanks, the wines present delicious and invigorating fruit aromas, tangerine and pineapple mainly. Although their fruit aromas denote sweetness, this is a dry wine due to its absence of sugar since it all turned into wine during the fermentation process; it does not usually leave sugars unconsumed. 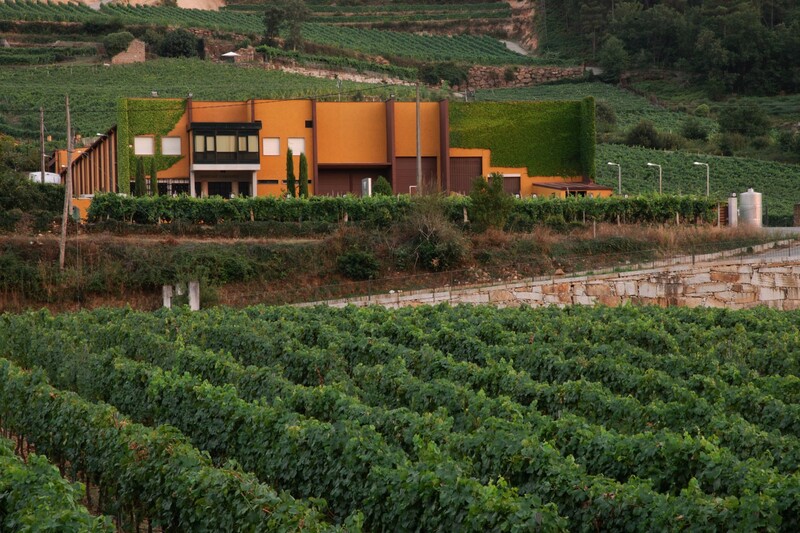 The vine is highly adapted to the Galician climate. It has a medium blooming period and a medium-late ripening period. It produces an aromatic, sweet grape with a good level of alcohol. It is a small rounded grape with a big-sized bunch and of medium-high productivity. Mencía red wines have been captivating all those who have tasted them for years. They have a great personality, revealing the type of land, and are Atlantic, intense, structured and ultimately surprising wines, with enough potential to cherish the short ageing in good oak. In their early stages, they present an intense cherry colour with a violet edge. They have powerful aromas, which remind of red fruits and offer light and fruity tastes with a heavy varietal load. This red grape welcomes the company of smooth texture meat, like poultry and traditional local dishes, such as Bierzo’s botillo, Galician cocido or beef stews.